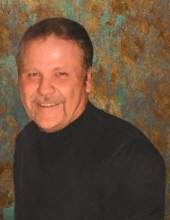 Celebrating the life of Philip Avery Armstrong, Jr.
Obituary for Philip Avery Armstrong, Jr.
Philip Avery "Phil" Armstrong, Jr., 64, of Creswell died Tuesday, February 5, 2019, in Elizabeth City. Born April 11, 1954 in Wake County he was the son of the late Phillip Avery Armstrong, Sr. and Elsie Patrick Armstrong and was preceded in death by his sisters, Essie Armstrong Rath and Linda Armstrong Sawyer. Phil was the owner of East Coast Masonry, Inc. of Creswell and a member of Mt. Tabor Free Will Baptist Church where he served as a Deacon and Adult Sunday School Teacher. His family includes his wife, Vicki Biggs Armstrong of Creswell, N.C.; daughter, Annetta Laine Armstrong of Tampa, FL. ; son, Lucas Avery Armstrong and wife Kellie of Edenton, N.C.; sister, Audrey Armstrong Midgette of Belhaven, N.C.; brothers, Davie Royce Armstrong and Larry Armstrong both of Chesapeake, VA. and granddaughter, Georgia Claire Armstrong. Funeral service will be held Sunday, February 10, 2019 at 3:00 pm at Mt. Tabor Free Will Baptist Church, Creswell with Reverend Edwin Hill and Reverend Jerry Evans officiating. Burial will follow in the church cemetery. Family will receive friends on Sunday in the church fellowship hall following the service. "Email Address" would like to share the life celebration of Philip Avery Armstrong, Jr.. Click on the "link" to go to share a favorite memory or leave a condolence message for the family.